These, my friends, are caneles and they became my addiction in Bordeaux. Well, when you start quaffing wines at 11am each day, you need a little something to keep you on the straight and narrow. So these little gooey, vanilla-y, custardy cake things became a daily necessity. I was surprised by how beautiful Bordeaux is - since the grand classical and neoclassical facades were polished up to a gleaming white, it has the beguiling beauty of Paris with lots of great shopping and restaurants to boot. 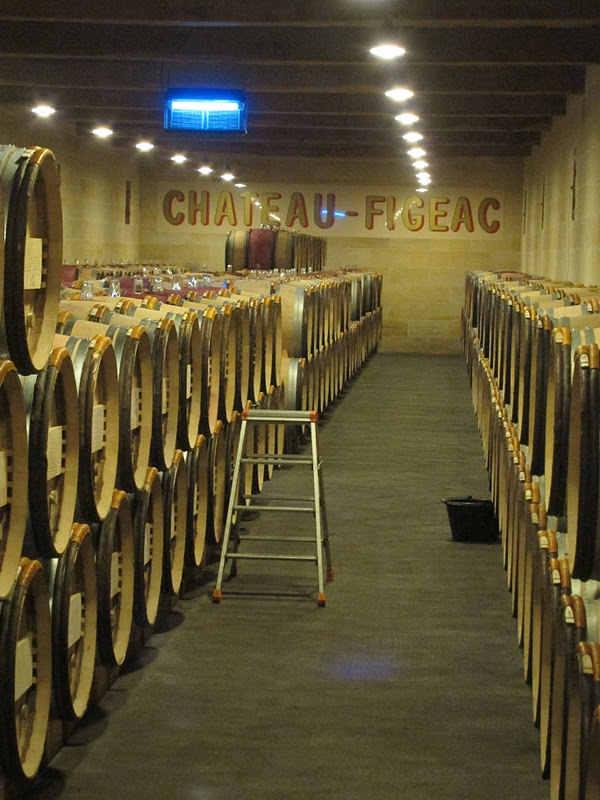 However, we stayed near Saint Emilion - which is a stunning little village full of wine shops, cafes and a maze of stone buildings nestled among the golden vines of the Bordeaux grapes. I highly recommend it as your base. 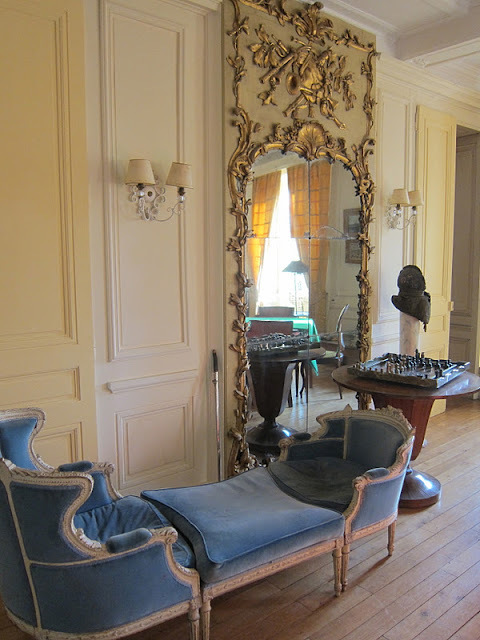 Our fabulous new B&B, Carre Vigne, in Saint-Hippolyte (just a few minutes drive from Saint Emilion - www.carrevigne.com) was a spacious and stylish home away from home, established as a separate quarters at the back of the welcoming house of the gorgeous Emmanuelle and Bruno. Emmanuelle is the greatest host. Such a warm and welcoming person, she takes a genuine interest in your travels and, partly owing to her job with the local tourist office, can offer fabulous restaurant tips - we loved all of them. Bruno works at the local Maison du Vin in Saint Emilion, so you need look no further for winery tips either. Emmanuelle delivers a fresh continental breakfast to your room each morning (or take it on your own little private decking overlooking the vines in summer). The room is smartly furnished, with all the comforts you could want, including comfy beds, crisp linens, flat screen TV, free WiFi, coffee machine and a lovely modern bathroom with a large shower and big shower head. For something more casual and rustic in St Emilion itself, we had a ball at L'Envers Du Decor, a terrific little wine bar, where you can sample lots of local wines by the glass or the bottle at very reasonable prices, while feasting on some excellent plates of lamb or steak. 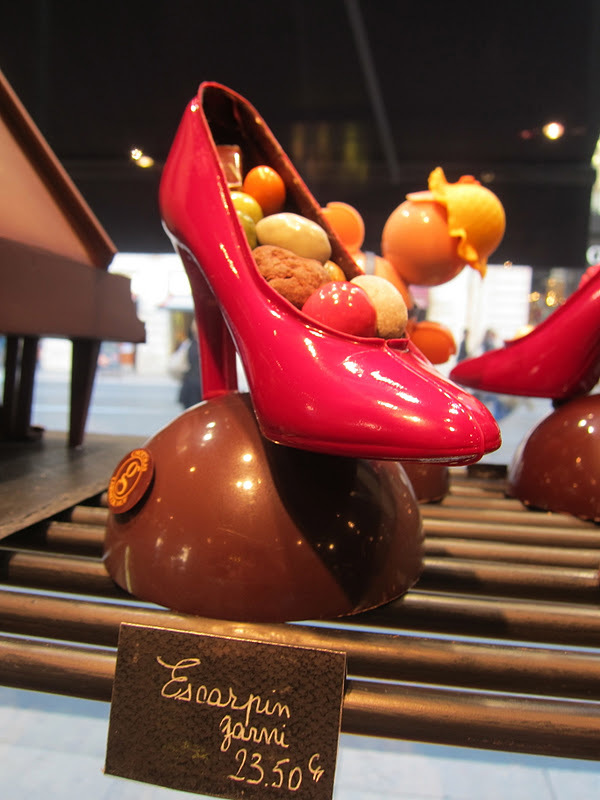 Definitely venture into Bordeaux for some of the most gorgeous chocolate shops and delis I've ever seen, some great shopping, and loads of good restaurants. 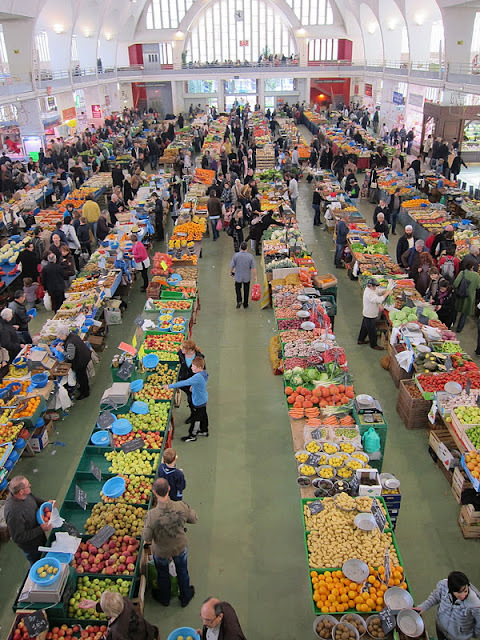 Also not to be missed in Bordeaux is the huge, colourful Des Capucins food market, where you can pull up a seat at a stall and feast on huge plates of local Arcachon Bay oysters over a refreshing wine. 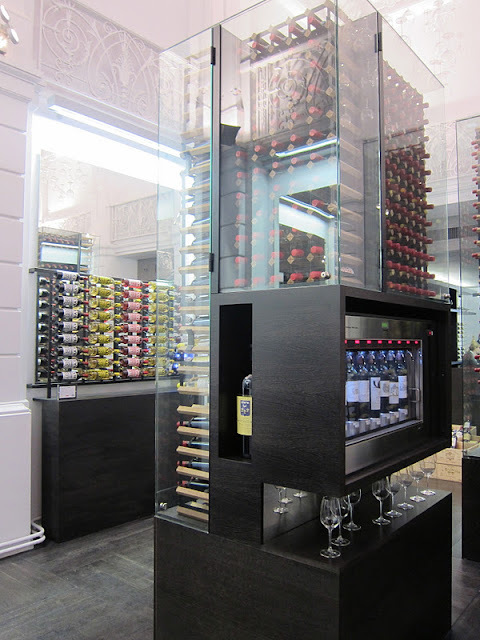 We also loved the wine tasting at Max Bordeaux in Bordeaux, where you can pay $20 or more for a tasting card which you slot into dispensing machines to sample wines from all parts of the region including tastes of some of the most expensive grand crus. For $10, we were taken on an excellent tour of Chateau Figeac just outside St Emilon, and given a taste of the 2006 Grand Cru at the end. For exquisite food (albeit in modest surrounds), Auberge Saint Jean is surely on its way to a Michelin Star. Sit overlooking the river in Blaignac, a short drive from Saint Emilion, and enjoy 3 creative courses for 38 euro or the 5 course degustation for 48 euros. Unfortunately, I didn't take my camera but check out the website for some great food snaps. Very nice (if slightly less memorable) fare can also be had at Le Clos de Roy, near Saint-Emilion. 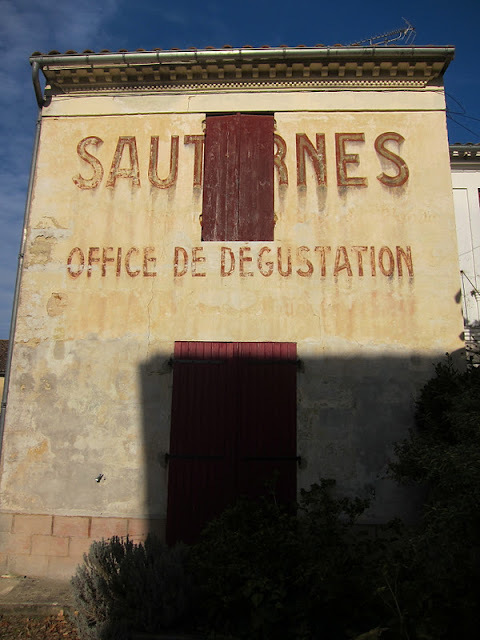 As a day trip, I also recommend a drive to the pretty Sauternes region where you can taste the good stuff in all its sticky, golden glory. The Cognac and Armagnac regions are also nearby. Our whistle stop tour of the wine regions of Italy and France would not have been complete without a soujourn in proximity to France’s oft cited “gastronomic capital”, Lyon. Just north of Lyon, the Beaujolais countryside is a pretty patchwork of amber and red vines, green woodlands, rivers, lakes and windy trails of neat, sandstone villages and grand chateaux. It has a totally different character to the high, rolling hills of Piedmont and the crumbling stone walls we would later discover in Bordeaux. The call of the famous Lyonnaise bouchons, cheese, charcuterie and Bresse chickens beckoned. Our favourite traditional bouchon was L’Epicerie (recommended by our hosts) in the nearby town of Villefranche-sur-Soane. An easy going, lovely pot of Beaujolais Village will set you back a whole €4 as you soak up the character and charm of the bouchon, with its wooden décor, a clutter of pictures and posters on the walls and a menu filled with piggy and other meaty delights from charcuterie to boudin noir, to huge chickens and andouillette, to layer upon layer of cheesy gratin, quenelles and oozy cheeses. As we explored the villages, we stopped for massive salad – a whole lettuce with bacon, poached egg and crispy croutons at Du Bouchon Beaujolais in Vaux-on-Beaujolais. The atmosphere is odd – dimly lit with music clips blaring from a TV screen in the corner – but the big plates of hearty, traditional fare are good. We also tried Michelin Star chef George Blancs’s casual restaurant, Embarcadere, in Jassans Riottiere. Service is as you would expect in a fine dining establishment, but our food was disappointing – my beef was chewy and lacking in flavour (not a patch on the steaks we’d had at the agriturismo Ulivi in Italy a few days earlier) and despite packing some good flavour, for its hefty price tag TPG’s Bresse chicken breast was tiny compared to the size of the Bresse chickens we’d seen at the local market earlier that day, and compared to the fabulous meaty chickens of at least equal quality we’d already sampled for far less money on the trip. We could have eaten better for less elsewhere. Don’t bother with this one. By the time we reached Lyon, we were almost all sausaged out but if you do want to eat in a bouchon there book well in advance and you might like to try Le Garet and Le Café Federations (recommended by Eat Like a Girl), Chez Georges, the huge Brasserie Georges, 2* Le Bec or L'Ourson Qui Boit. But in the end we stumbled fatefully across the fabulous little Bistro Au Bon Temps – which just hit the spot. Cosy, poky and charming, it was the perfect setting for our post shopping recuperation over a calamari and tomato salad, an endive salad, TPG's creamy chicken and my braised duck and lentils, finished off with an oozy St Marcellin cheese. 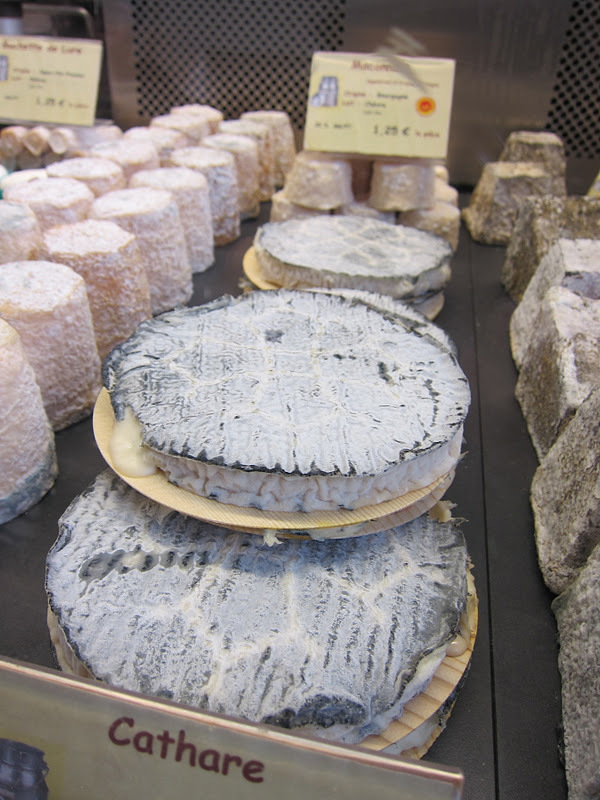 Another good stop is the large Saturday morning market at Villefranche-sur-Soane where you can pick up local cheeses, charcuterie and baked items, while browsing the rows of giant, colourful vegetables, Bresse Chickens, ducks and other temptations. This is clearly not an area to diet (although I did manage a run through the vines one morning, inspired by the hordes training for the local marathon). A lovely area to visit – and you might like to time your trip with the Beaujolais Nouveau festival, for the first release of wines in mid November each year. We arrived after the long drive (and several painful road tolls) from Barolo, carving our way through the stunning French Alps, to the welcome and impressive sight of Chateau de Longsard, just outside Villefranche-sur-Soane. Owned by the Count and Countess Olivier du Mesnil du Buisson, the chateau has a long history, dating from the 16th century. There are 3 spacious rooms like ours in the main chateau, although with the restored coachhouse, the property sleeps 36. 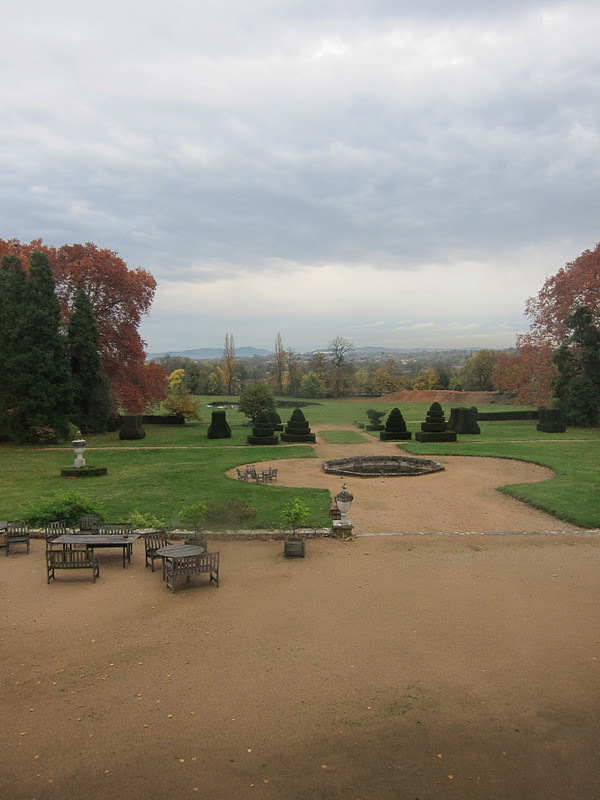 The grounds are beautiful – I felt very Pride & Prej as I kicked back with a book by the window overlooking the French gardens with manicured box hedges, leading onto English style country gardens then onto the vineyards beyond. You can also take a turn around the property, past 250 year old cedars, lime tree alleys and an Egyptian obelisk given to previous owners in 1892. Our room fast became my happy place, with its soaring ceilings, ornate fire place, comfy armchairs, beautiful views, 4 poster bed, gorgeous white bathroom (complete with spacious bathtub) and a mixture of antique and modern furnishings. After waking from a replenishing sleep under the 18th century wooden beams, our hosts, the Count and Countess – Olivier and Alex - had prepared a scrumptious breakfast of fresh croissants and bread, fruit, Alex’s lovely home made jams, cereals, yoghurt, local hams and cheeses, OJ and a hot pot of coffee timed for our wake up. 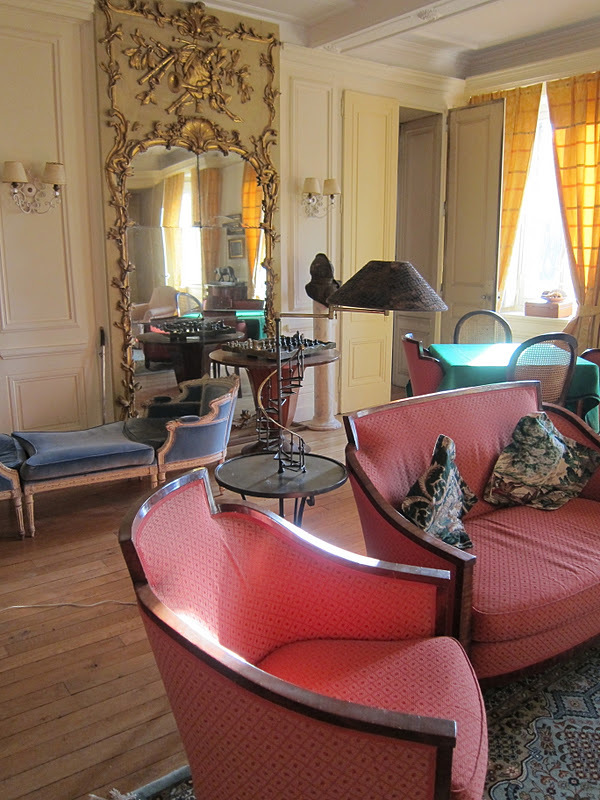 Although they have lived in the area for 20 years, Alex and Olivier are well travelled and relics from their many years abroad add interest and character to the traditional chateau. This is a really special place to stay, with its own small winery, and not only is it just 20 minutes from the bouchons of Lyon, but it’s right in the middle of the sleepy Beaujolais villages where your food and wine explorations can begin. We drove cross country, but you could fly or take the train from Lyon and then take the short drive to Chateau de Longsard and the Beaujolais villages from there. 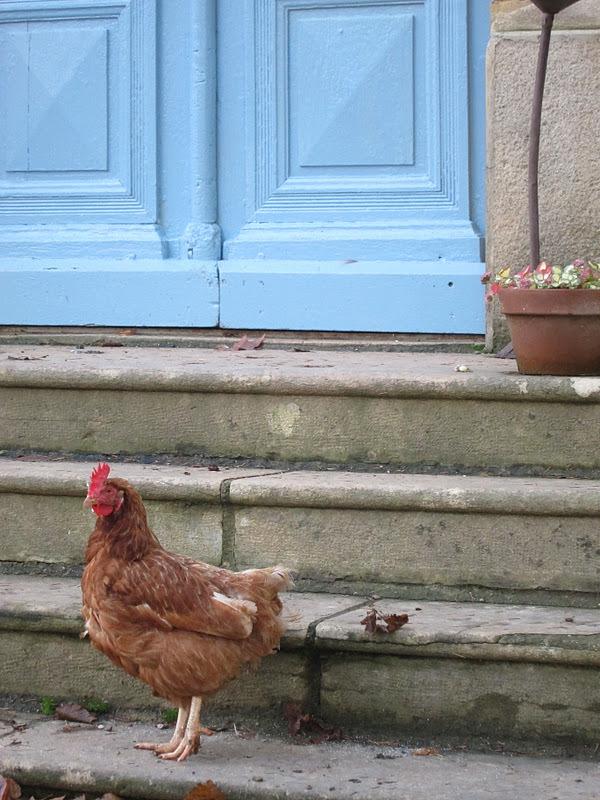 Greedy Diva was a guest of Chateau de Longsard. Rates start at €130 per night, including breakfast. We were on our way to dinner at Nelle Vigne, a restaurant perched on a cliff top just outside Diano D’Alba in Piedmont. Thanks to Jane, our trusty GPS, we had already been bogged on a tractor path. TPG had jumped out into the rain to push me out of a ditch as I accelerated backwards towards a cliff face at approximately 100 miles an hour. In pitch darkness. As we navigated hair point turns through the cover of night and a thick, impenetrable blanket of fog, our vision extending approximately 2 mm past the windscreen, the last thing on my mind was the fact that “nebbiolo”, the name of the local grapes, means “fog”. But later, it all fell into place. Still, Barolo country, and our dinner at Nelle Vigne, was worth it. When the fog lifts, Piedmont is so stunning you will want to stop the car and take a panoramic shot at every turn. If you like Tuscany, you will love Piedmont. It has the beautiful vistas of rolling hilltops of vines and crumbling hilltop towns, with enotecas and homely trattorias scattered throughout the villages and the countryside. You could throw a dart a land it on a good plate of lamb chops and a fine drop of hearty red. Everything is easy to access (there are degustations aplenty) and everything’s so beautiful that even if you get lost, you can’t really go wrong. In October/November, this is prime season for the prized white truffles of Alba, for chestnuts and for big bags of sweet nocciolia that leave your previous impressions of supermarket bought hazelnuts lying in the dust. We timed our stay with the annual truffle festival in Alba, loaded up the boot, and subsequently spent the rest of the week with the intoxicating, heady smell of white truffle wafting through the car. We have been before, in summer, when we stayed at the excellent Castello di Sinio (I said a few words here). The region provided one of our favourite Italian holidays, so we couldn’t leave Europe without a return visit. Autumn may not offer the same opportunities to lie by the pool soaking up views of the sunbaked vines, but it is equally satisfying – the reds, yellows and fading greens make up a colourful patchwork under the moody skies. It’s good weather to get cosy and find somewhere to tuck into a hearty meal. While part of the fun is to roll up where you end up, if you find yourself doing degustations in Barolo when the church bells ring at midday, you will do no better than to stop in for an hour or 2 at Il Cantinetto (not to be confused with Il Cantinella in the same village). We sat in the GD happy place that is the front room surrounded by shelves loaded with wines and local shop owners meeting up for their lunch break. It is the essence of everything you dream of finding in a little Italian trattoria but which can sometimes evade you. The back room is equally gorgeous, if more like a traditional restaurant in style. Either way, the service and food are the same – perfecto. The traditional styles of pasta here are plin (tiny pinched meat filled ravioli) with rosemary and butter, or thin, spindly taglioni with a beef and tomato ragu. I indulged here in the latter, while TPG wolfed down an awesome gnocchi ragu – the gnocchi tasting like the quintessence of potato. To follow, TPG’s lamb chops with buttery spinach and lentils and my vitello tonnato were equally excellent. Our little old, silver haired charismatic waiter guided us away from the Mascarello Nebbiolo – which we have loved previously – on the basis that we can get better value for money (this is a wine that costs around £50 in London but was €28 here) in favour of an elegant bottle of Elio Grasso for €20. He then also insisted on providing us tastes of a peppery tartare in between courses and, ignoring our pleas that we couldn’t fit in dessert before our espressos, insisted on us sharing an amazingly creamy panacotta freebie anyway. My kind of fellow. A wonderful experience for a grand total of about €55 for 2 people plus wine. Il Cantinetto will be on my must do list every time I visit the area. But a great place to start for an incredibly cheap way to sample an enormous volume and range of the traditional local fare – with killer views of a vista of vines to match – is at Nelle Vigne, in Diano D’Alba. This was our second visit. For a grand total of €25 each (plus drinks) we had 8 hefty courses (you get what you’re given, and it’s not a place for vegetarians) comprising big salty anchovies topped with a nocciolo and lemon paste, donutty fried balls of bread topped with delicious shaved salami, a peppery beef tartare, a heavy platter of chicken salad (a surprisingly addictive local mix of chicken with mayonnaise, carrots, potato and onion), a clay pot filled with baked leek and topped with oozy gorgonzola and then (as TPG wasn’t eating pasta) a massive serve (for 1) of plin with rosemary and butter – no need to show you what a serve for 2 looks like. But that’s not all. To follow, a choice of delicious braised rabbit with huge baked peppers and tomato sauce (just like the one they often have at Zucca) or cinghiale (chunks of braised wild boar) with crisp roast potatoes. You will be stuffed before you even start mains – indeed you can stop right there for €20 which even we (not often defeated by food quantities) had to do last time as we didn’t pace ourselves - amateur hour. This year, we came prepared. After mains, we had a divine nocciola semifreddo and – TPG again – a panacotta with caramel sauce. Our gorgeous half bottle (I was driving home through the fog again) of Serralunga D’Alba Barola was a steal at €18. For wine tastings, all the main towns bear the names of famous wines (Barolo, Barbaresco etc) and most of them have caves for degustation. Last time we visited, some of the villages had locals walking around the streets, wine glasses in hand between stalls, for wine festivals. We also did a tasting of the gorgeous wines at Pira & Figli with the lovely winemaker, Chiara Boschi. Barola was on a clear path from Venice to Bordeaux, as part of our wine trail road trip. However, the easiest way there is to fly to Turin, Genoa or Milan, and it’s an easy (and picturesque) drive from there. Stay at Castello di Sinio, or you could try Hotel Barolo. All the towns are gorgeous, and many are named after the wines you wish you could afford on restaurant menus back home. For other restaurant recommendations, see my earlier blog post here. You might also like to try Trattoria Della Posta, which has been recommended by 2 separate sets of locals, but we had to cancel our reservation - long story. 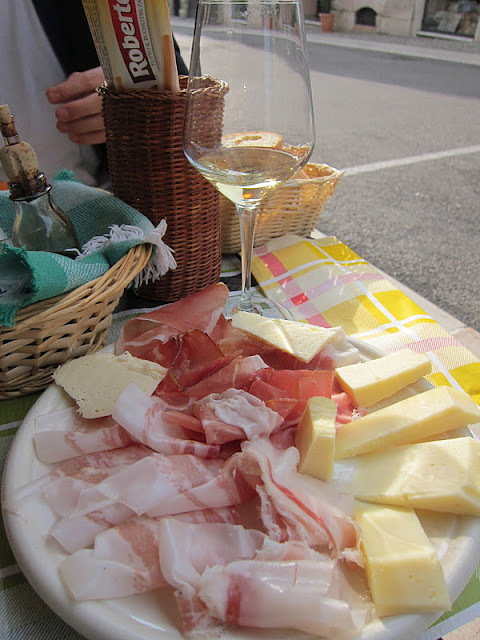 If you want more inspiration about eating in the area (and travel gluttony in Italy generally) I recommend you have a read of Tamasin Day Lewis’ “Where shall we go for dinner?" From Venice, our road tour kicked off (via an Autogrill or two) as we drove about 1 ¼ hours to the Valpolicella region of Italy for a sip of some big boy Amarone on its home turf. Our first taste of a great Amarone was a few years ago at a terrific little restaurant called 18-28 in Milan, recommended by a local Italian colleague (and now by me - great food). The cork was popped. The wine was poured. We swirled, we sniffed, we sipped. We looked each other in the eye. Then we clutched our glasses like mother cats guarding their young and ordered a full bottle. And then another. This wine hails from the Valpolicella region, north of Verona and east of Lake Garda. Drive by row after row of leafy vines and hilltops dotted with soaring church towers and sleepy villages. The perfect base for your explorations is winery and B&B, Villa Monteleone, in the heart of the region. Owned by Lucia Raimondi, the villa is a traditional 17th century building overlooking the vineyards of Monteleone and Gargagnago. The villa has its own small, family run vineyard producing about 35,000 bottles a year (its first vintage was in 1989), and right across the road is the regional commercial giant, Masi, where you can taste some big hitting Amarones that will cost you hundreds of pounds to sample in London. Our homely meal at Locanda Costa degli Ulivi (www.costadeliulivi.com) could have set an example to a Michelin star restaurant or two. A ginormous platter of pumpkin risotto and a steaming bowl of handmade coccinelle pasta shells with local sausage, olives and tomato were fabulous, but even better were the mains – 4 perfectly pink and plump lamb cutlets, and generous thick slithers of delicious grilled beef. Serving sizes are large, great value and absolutely top quality. 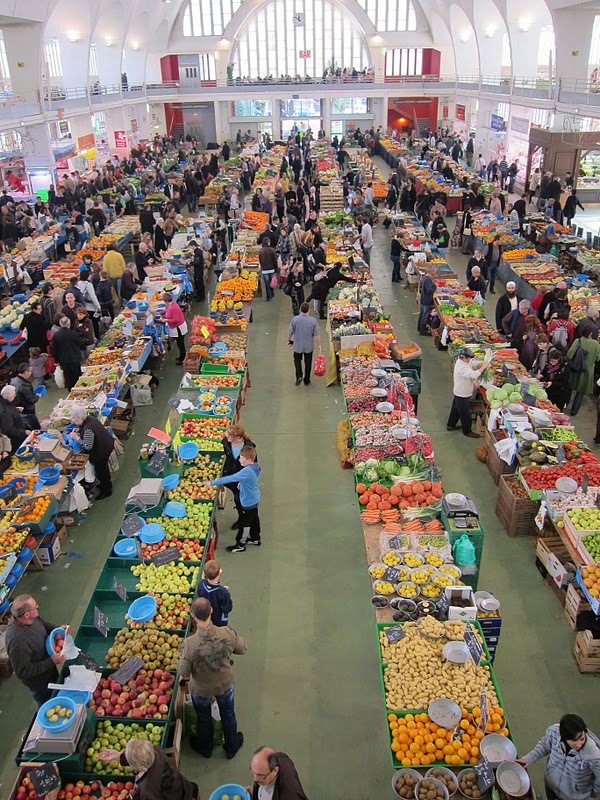 This is a place where they start with great produce and then cook it simply but perfectly to bring out its best but take nothing away from it. The room had zero atmosphere on the night of our visit (completely out of tourist season), but the food and wines (at about €4 for a decent Amarone or €2 for a Valpolicella) had us smitten. Our amazing feast cost about €40 per head for 3 courses, sides and highly enjoyable wines. Food wise, TPG rates it up there in best ever meal category. A total surprise package. It was far better than our slightly more expensive dinner the next night at Dalla Rosa Alda (www.dallaroasalda.it) which gets rave reviews online, but apart from the lovely wines and a bit more buzz in the cave like room, our meal was only “so so”. Still, to be able to match 3 local wines (including a gorgeous Amarone) to each course for only €15 is quite something. There’s lots of horse meat on the menu – a local specialty – but TPG routinely cries in Phar Lap and Sea Biscuit so I thought better of trying it. Lamb and beef were good, but not up there with those at Ulivi. The slab of yellow olive oil cake (another regional speciality) was a little dry although the wobbly pannacotta brought flaming to the table, was lovely. About €50 per head. Better yet was our lunch at tiny, out of the way (seriously off the tourist trail) Bottega de Corgnan (www.bottegaitaliana.net), a super fun, casual hang out of the locals where you can feast on platters of local salamis and cheeses, bowls of pasta using only seasonal ingredients (or a radiccio and mushroom lasagne in my case), polenta, rabbit, steak, or lamb over a good selection of wines at very reasonable prices (about €10 per course and wines from €2). Opposite is the more upmarket restaurant, Grotto Corgnan, where you can linger over a longer, fancier meal which the locals also rave about. On the road from Venice to Monteleone, we also stopped off in the beautiful walled town of Soave (I can’t resist a sign post bearing the name of a good drop), where we shared a magnificent lunch of cured meats, local cheeses and grilled vegetables with some local Soave wines (ranging from €1-€4!) for around €15 per head at the fabulous Enoteca Del Soave. Delightfully simple. We did a tasting of Villa Monteleone’s own gorgeous wines with friendly cellar master, Raffael. If you don’t want a quick lesson, look away now. Valpolicella Classico - the light, easy table wines of the region. Ripasso (or Valpolicella Classico Superiores) - can be a thing of beauty, made when the partially dried grape skins left over from the fermentation of Amarone or Recioto (dessert wines) are added back to the Valpolicella, adding complexity and depth. Amarone - bigger, full bodied wines made from late harvested, very sweet, ripe grapes which are then dried out for several months. The wines are then aged in barrels for several years (3 in the case of Villa Monteleone’s own lovely version). Recioto – sweet wines. Villa Monteleone’s Recioto is glorious – of only light to medium sweetness (unlike some of the more cordial-like wines we tasted). If you are lucky enough to come across Villa Monteleone wines in your country (they export 90% of their wines), I highly recommend them – some of the most enjoyable of our trip, and at excellent prices (from €10 for the Valpolicella Classico to around €30 for the Amarone). 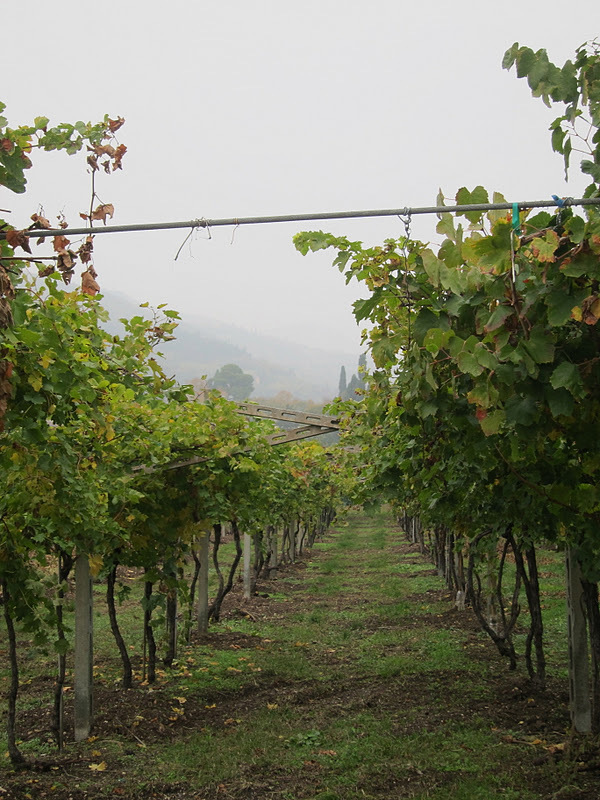 All the grapes at Villa Monteleone are picked by hand, to create wines faithful to the tradition of the region. 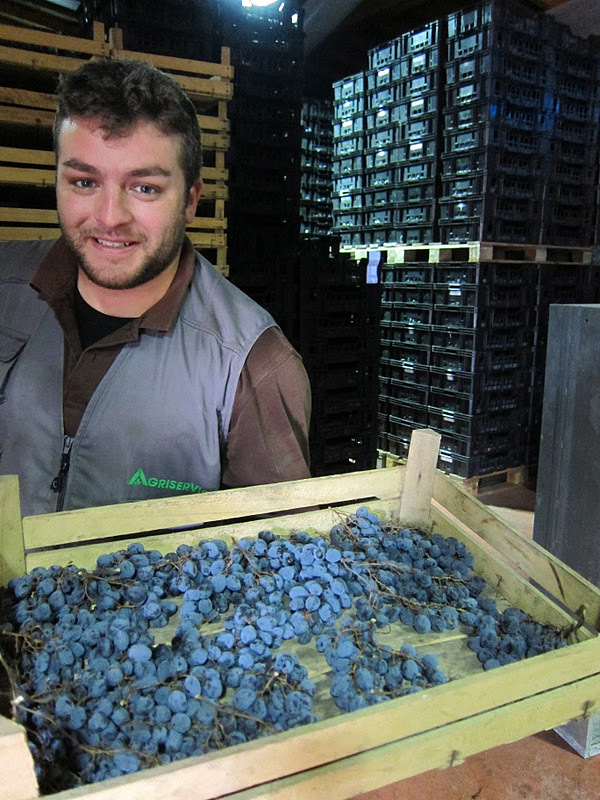 Our tasting included a private tour of the vines, the small cellar and the grapes being dried for the Amarones. Thirst inspiring stuff. I believe they may also be able to put on a rustic lunch for you. Our room was one of only 3 at the villa, and was traditional (except for the added bonus of a sauna - gold! ), spacious and comfortable, with views out over the vines. Guests are provided with a lovely breakfast each morning of coffee, juice, pastries, freshly baked bread, jams, granola, cereals, yoghurt, fruit and local hams and cheeses. (Although save some room for lunch - they don’t hold back on portion sizes ‘round these parts). There’s WiFi in the main lounge area and lots of books to nerd up on the local viniculture. You’ll also be provided with maps and lots of tips on where to eat and drink from Lucia and her friendly and helpful right hand woman, Sara. This place is all friendliness and charm - we loved it. There are tonnes of places to eat or taste wine within easy access – some only a few minutes away (and some restaurants will transport you to and fro so that you can indulge in the wines thoroughly). While in the area you can also lunch in Verona (30 minutes drive) or by the shores on the stunning Lake Garda (20 minutes away), where we took a stroll and coffee. The outdoor opera season at the famous Arena in Verona is in July and August, but November is also a beautiful time to visit for crisp sunny days and the magical Autumnal colours. We flew to Venice where we stayed a couple of nights, and then drove for about 1.25 hours from there. Alternatively, you could fly to Verona which is only about 30 minutes away from Villa Monteleone. Greedy Diva was a guest of Villa Monteleone – I wholeheartedly recommend it as a place to stay or at least get in touch with Lucia to taste the wines - at via Monteleone 12, 37015 – Gargagnago, VR (Tel: 045 770 4974) info@villamonteleone.com www.villamonteleone.com. Rooms are €90 and €95 per night, including breakfast.